T.I.P. presents April’s featured Youth Ambassador: Katie Kalfayan. Katie, 15, is from New Jersey. Katie leases her Thoroughbred, Norm. 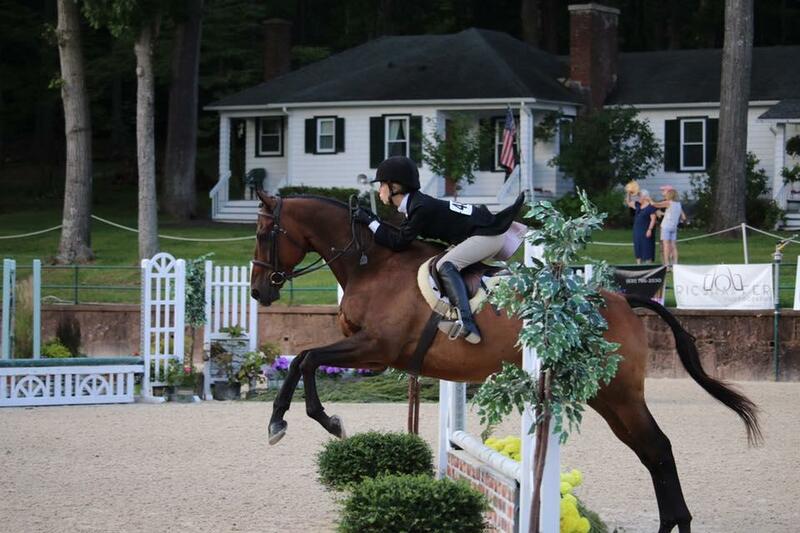 Together they participate in hunters, jumpers, and dressage. Katie is having a great time representing T.I.P. and the Thoroughbred breed as a Youth Ambassador. 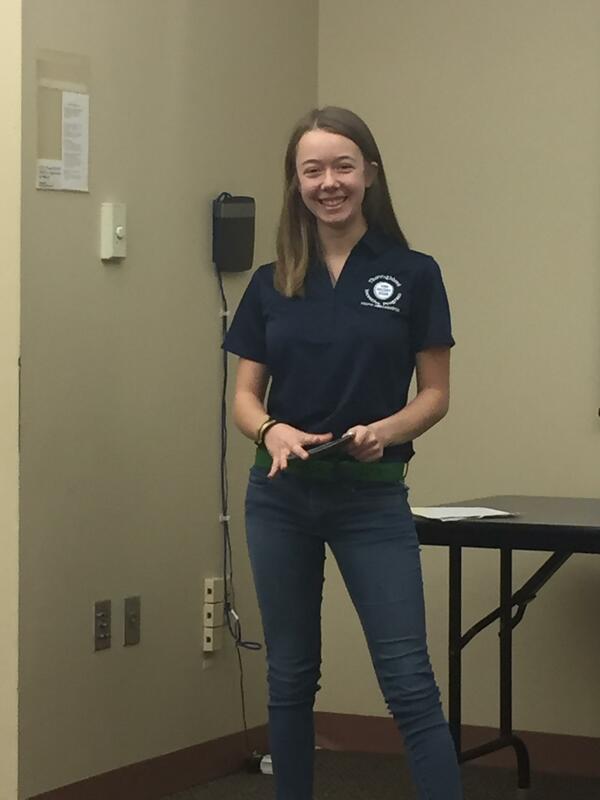 In March, she competed in the New Jersey State 4H Equine Presentations, giving a speech on Thoroughbreds and T.I.P. She placed second in her division and shared with T.I.P. that this experience “was so rewarding to share a topic I love so much”. I started riding around age five. My mom was beginning to ride horses after many years away from the sport and I started with her. My favorite thing about horses is easily the bond you make with your horse. My horse has become my best friend. I would love to be a Grand Prix rider, but if that doesn’t work out, I plan on being a surgeon for horses. “All we have to decide is what to do with the time that is given to us” – J.R.R. Tolkein; I believe in making the most of my time, which I feel this quote illustrates. Having fun: when riding to win, or do well, I find that riding is not enjoyable compared to when you just want to have fun. 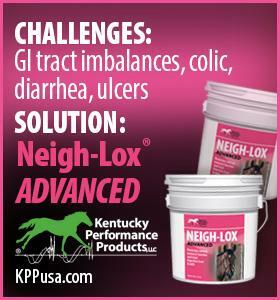 Patience: especially with young thoroughbreds, patience is important to succeed. In addition to Norm (lease) I own a retired racehorse, and a dog. I can play the bass and guitar. 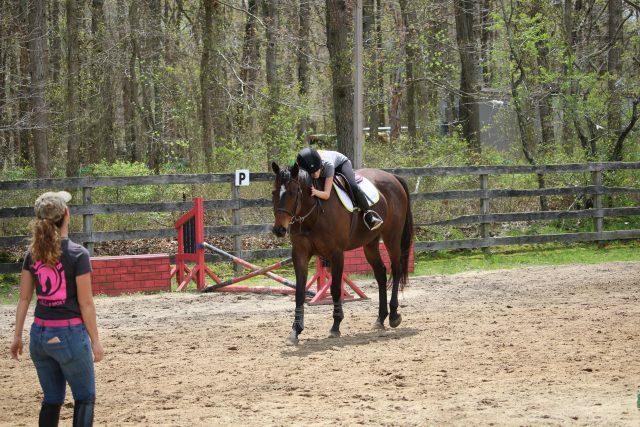 I would like to tell people how versatile Thoroughbreds are – they can do, and excel in, nearly all forms of riding. Additionally, I would like to tell people about T.I.P. 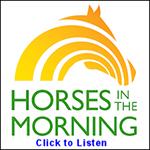 because I think that it is a great way to encourage more people to ride Thoroughbreds. I am currently the president of my 4H club and have been the past few years. Through 4H I have competed in local 4H shows, as well as the state championship show with Norm in dressage. Additionally, I have done multiple drill teams including one with Norm while he was still up for adoption. As well as 4H, I have worked extensively with New Beginnings Thoroughbreds, riding many of their horses including Norm before his adoption. Since his adoption and the beginning of my lease, I have taken Norm from showing crossrails to showing 2’6″.